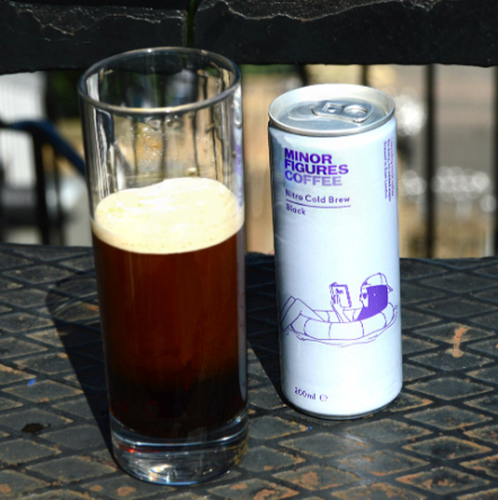 12 cans of Minor Figures Black Nitro Cold Brew- the freshest cold brew the Pact office has ever tasted! Free tracked delivery included. 12 cans of Black Nitro Cold Brew. In their words, it’s coffee and that’s it. The freshest cold brew the Pact office has ever tasted, you’ll get clean flavours and a creamy mouthfeel - thanks to the nifty nitrogen widget inside each can, filling it with silky microbubbles.